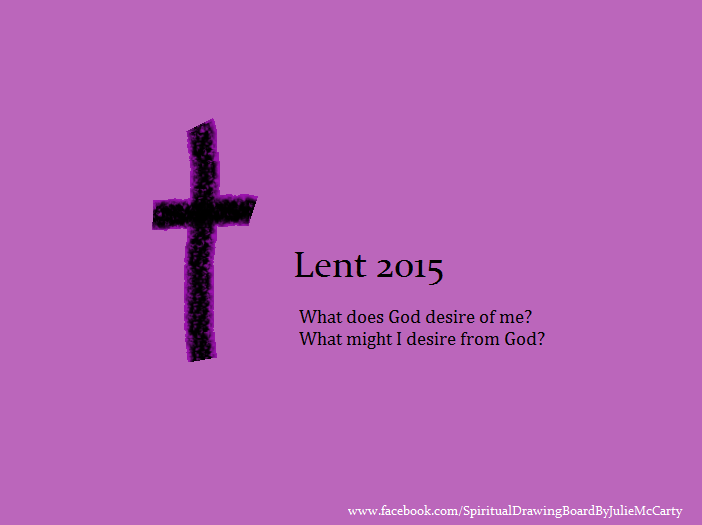 Lent is simply a word that means “springtime.” I think it’s safe to say that many of us in northern areas grow weary at the end of the winter with the drab skies, wearing heavy clothes, and icky looking March snow-on-the-ground. Christians who lived centuries ago may have also been running out of food (no frozen or canned foods back then) or heat (firewood) by the end of winter. Their animals may have died from the extreme cold (no meat or milk if all animals died). In our souls, we also long for something more. While it’s true we have been saved by faith in Christ, there’s always more to learn as a follower of Jesus, more ways we can serve others, more ways to conform our lives to Christ. Through the ups and downs of life, the Holy Spirit showers grace upon us, to draw us ever-closer into deeper communion with Christ and each other. Speaking of grace, have you seen Pastor Kris’ new blog post about Ash Wednesday and the ribbon of grace running through our entire lives? I suggest you take a look at her blog I’m Into Grace. May the good Lord bless you as we prepare for 40 days to celebrate the awesome wonder of Christ’s Resurrection. This entry was posted in Christian spirituality, Grace, Lent and tagged Ash Wednesday, ashes, Easter Lutheran Church, Grace, Lent, Spring. Bookmark the permalink.